Sep 07 Comments Off on Thursday 8th September is World Physiotherapy Day! Thursday 8th September is World Physiotherapy Day! Each year, on 8 September, we celebrate World Physiotherapy Day, a global event recognising the incredible role physiotherapists play in the community and the relationships that patients have with their physiotherapist. The theme for this year’s World Physiotherapy Day is ‘add life to years’. Physiotherapy helps Australians of all ages be active, stay independent and have quality of life. Physiotherapists are health professionals who play a key role in helping people with long-term conditions achieve their goals, fulfil their potential and participate fully in society. They work with people to maximise movement and functional ability. If you have problems that affect your mobility, ask a physiotherapist, the qualified experts in movement and exercise. 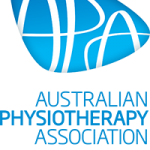 As the peak body representing the interests of Australian physiotherapists and their patients, the APA are passionate about championing rehabilitation. The APA represents more than 23 000 members who conduct over 23 million consultations each year. On World Physiotherapy Day, we promote awareness of the benefits of physiotherapy in the prevention, maintenance and treatment of injuries to ensure all Australians can add life to years. This World Physiotherapy Day, the APA is launching a community mosaic showcasing the different ways everyone can add life to years. Have a place in the mosaic by sharing your photo on social media using the hashtag #addlifetoyears. One of Australia’s most celebrated athletes, Steve Moneghetti, an Australian long-distance runner, has joined the APA as the ambassador for this year’s World Physiotherapy Day to help improve the quality of life for Australia’s ageing population. 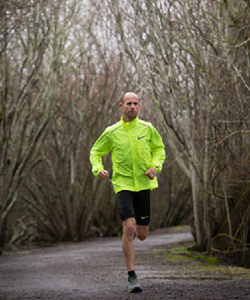 Steve is proud to share how physiotherapy, as well as his running, will add life to years. Do you live with body aches and pains? Pain has been part of the human experience longer than magnetic bracelets, ergonomic chairs, whiplash and repetitive strain injury. Yet it is just in the last few decades that we have realised how terrifically complex pain really is and how wrong many of our assumptions about pain really are. Pain is an important issue. Its impact on our society is staggering – more Australians suffer from chronic pain than diabetes, cardiovascular disease and cancer combined. Every day, chronic pain and its management costs Australia almost a million dollars. How can this be? In this fascinating Knowledge Works lecture, Professor Lorimer Moseley, Physiotherapist at the University of South Australia, will examine two important questions – “Why does it hurt?” and “Why does it still hurt?” He will share findings from his international research investigating the role of the brain and mind in chronic pain disorders.